I thought we’ll not continue and just head back to Florida because it was really rough for us for 9 hours but then we meditated and visualized our dream together! Reminded ourselves that we worked really hard the last 8 months to make this happen! 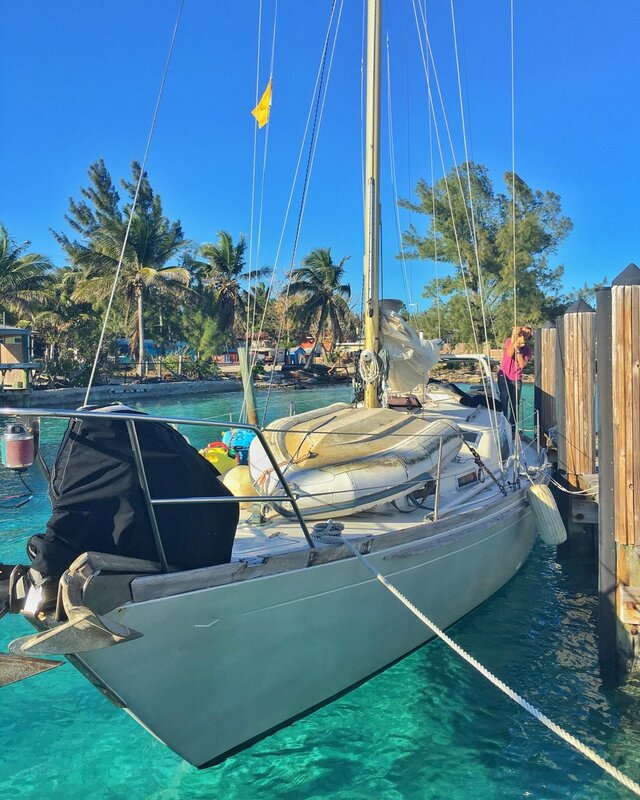 We MADE IT to North Bimini in the BAHAMAS (around 140-150 nautical miles from Marathon, Florida Keys because we made a wrong turn at the beginning!). REALLY PROUD of my Husband.. Captain Jonathan made sure we will be alright! 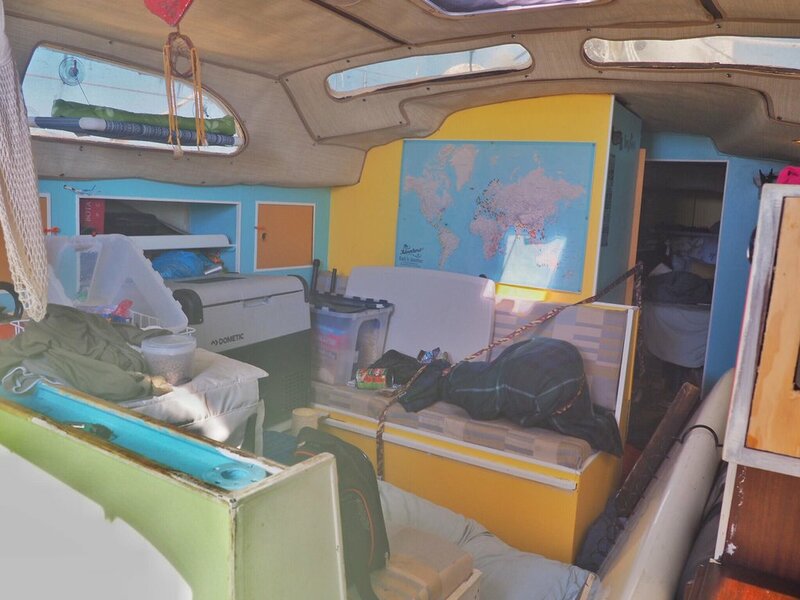 He did everything to fix our S/V Empress since we bought her in May 2017 and after surviving the Hurricane! 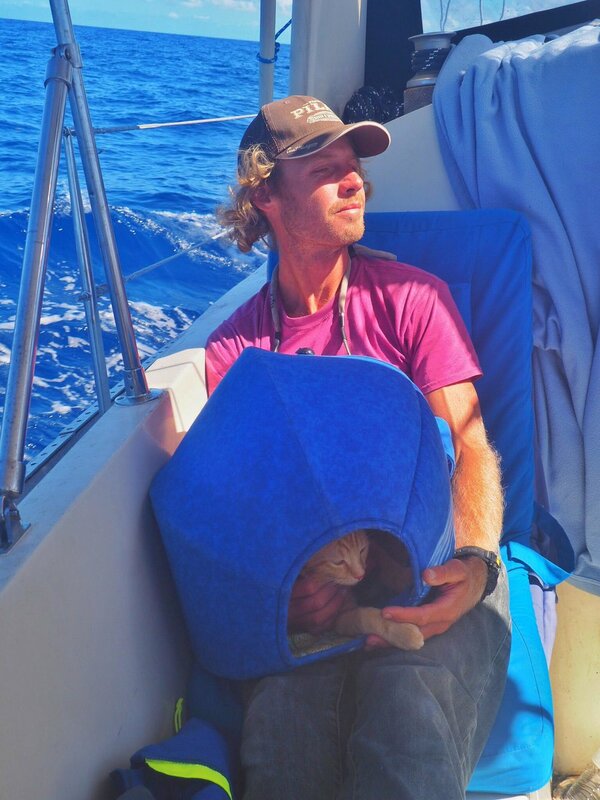 Finally, the last 24 hours we proved that all the hard work was worth it, Empress looked after us as we sailed her for the first time with just the two of us (and our cat) as the crew! P.S. Captain Ahab was a trooper! He was just with us the whole time while we alternate looking after him! He now has his first ever stamp on his Pet Passport! Do you remember when I shared last time on how Jonathan persuaded me to buy our sailboat? He said he’ll catch me a fish everyday.. we’re still new to sailing and what more on fishing.. but he caught a “fish” yesterday and he said it’s for Captain Ahab because he’s the baby! Hahahaha! Sailing Life Day 25: Second Day of Rough Weather because of South and Easterly Wind with Gust of 15 to 22 knots - SEASICK!